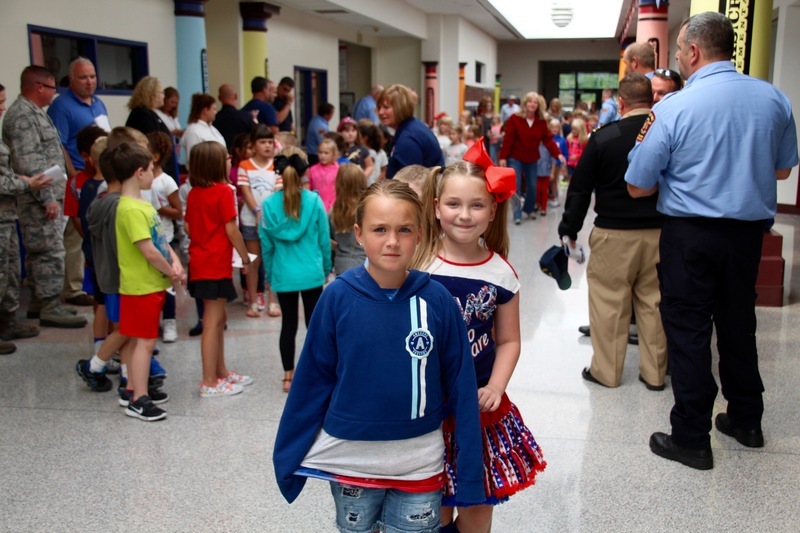 A few years ago, Clarks Creek Elementary introduced a new Patriot Day tradition: Silent Dismissal. 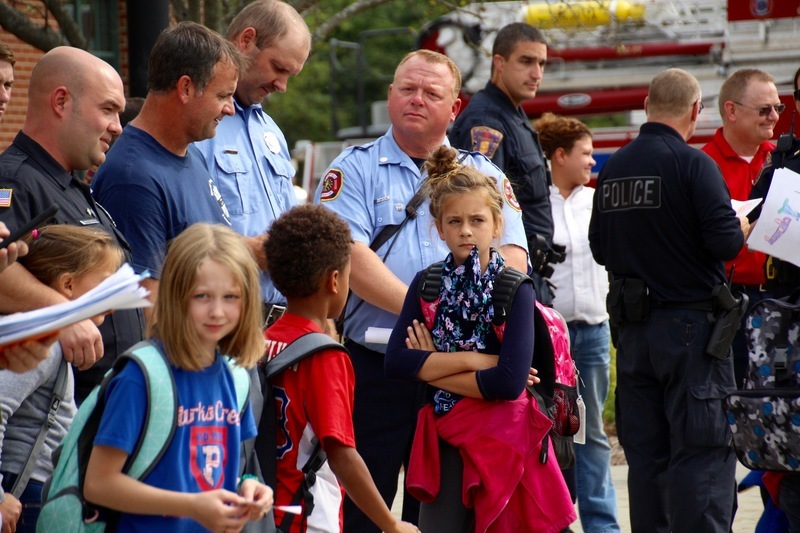 In an elementary school with more than 900 children, silence at any time is unusual, but even more so at dismissal. 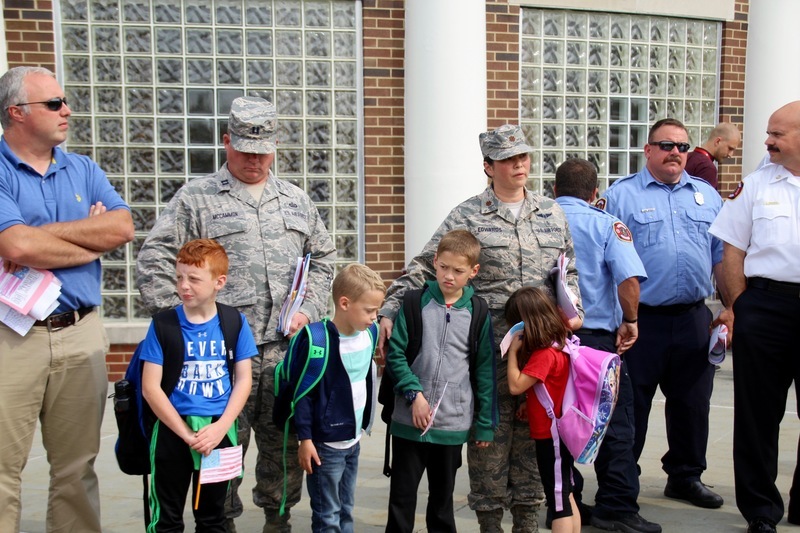 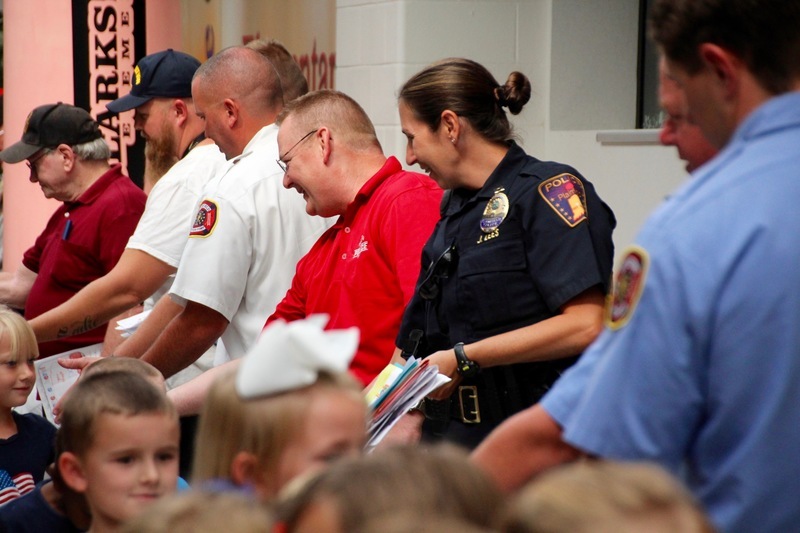 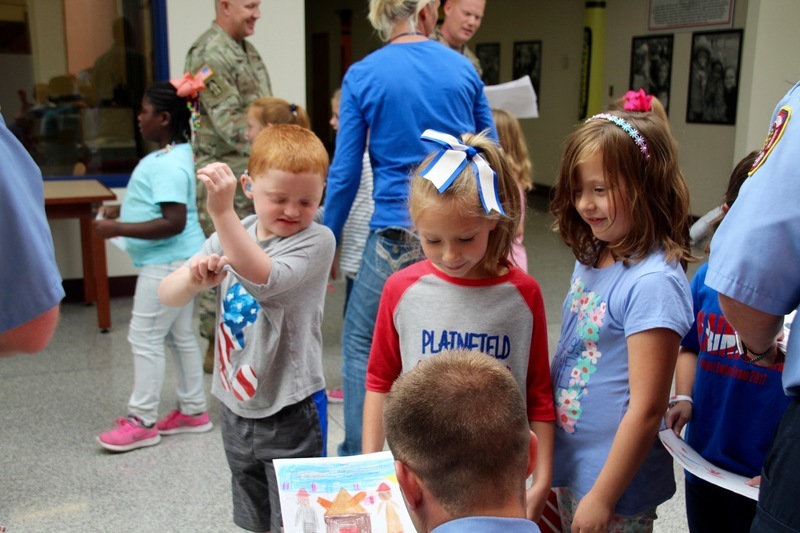 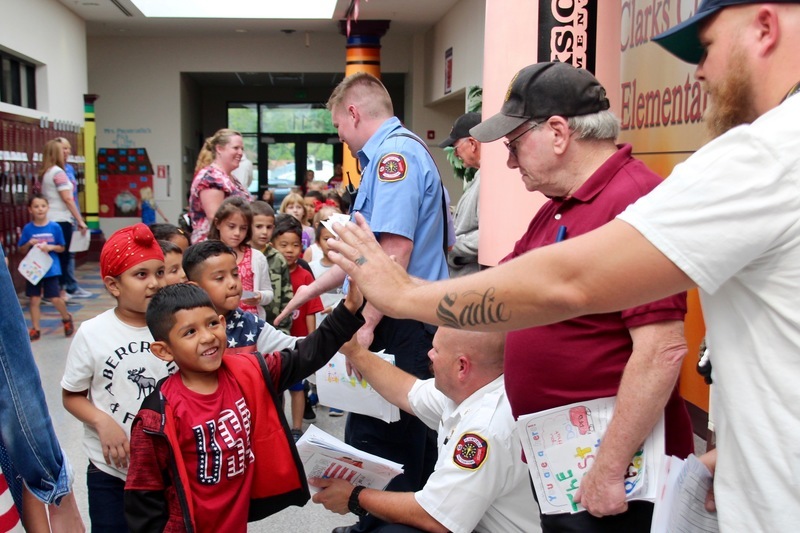 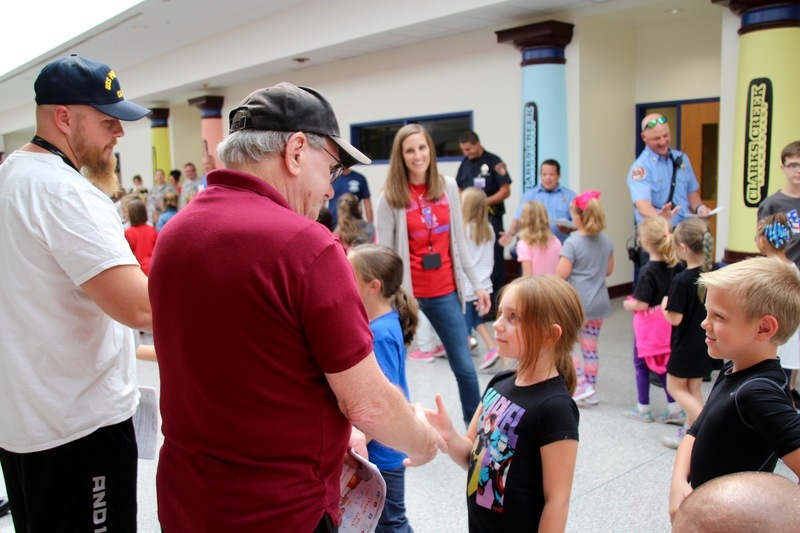 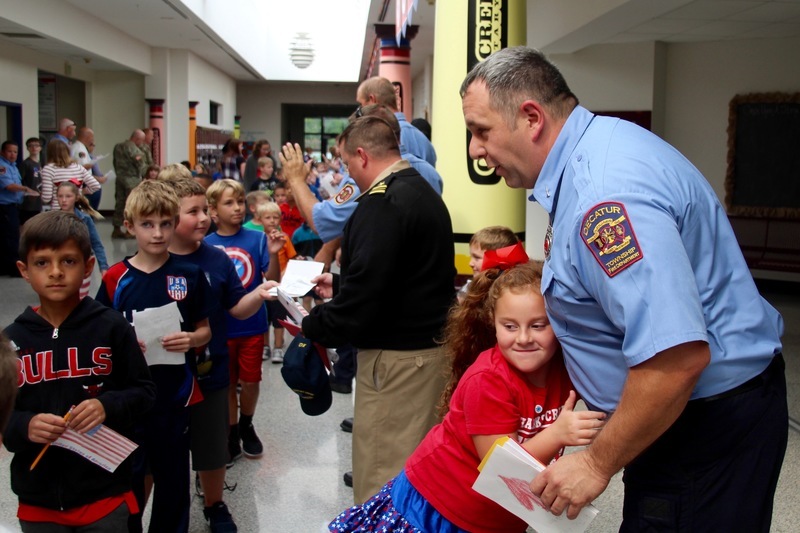 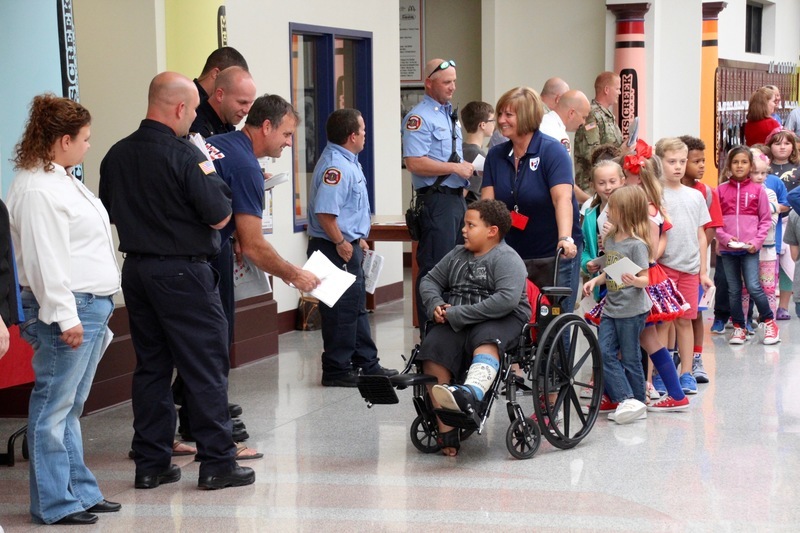 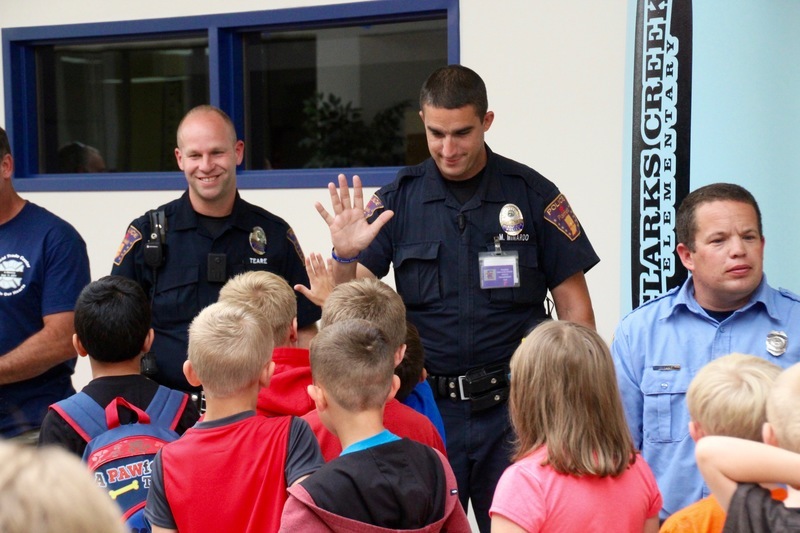 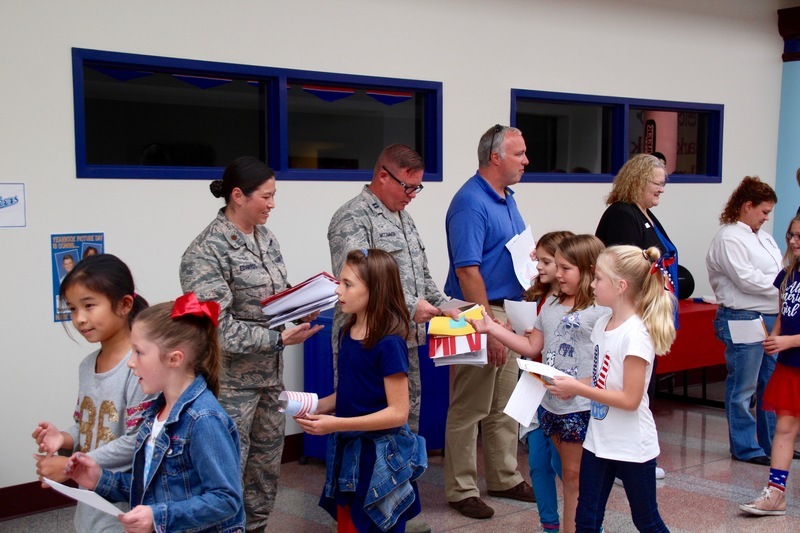 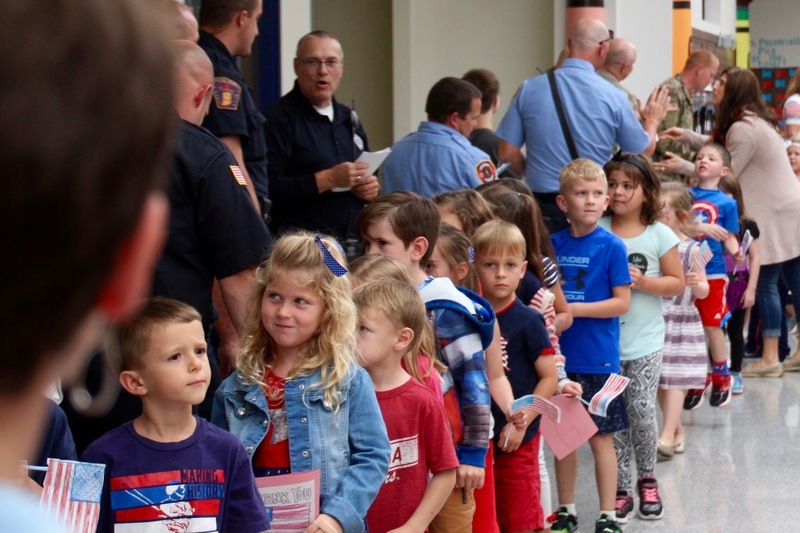 This year's program began with all students presenting handmade cards, letters and high fives to members of the military and first responders. 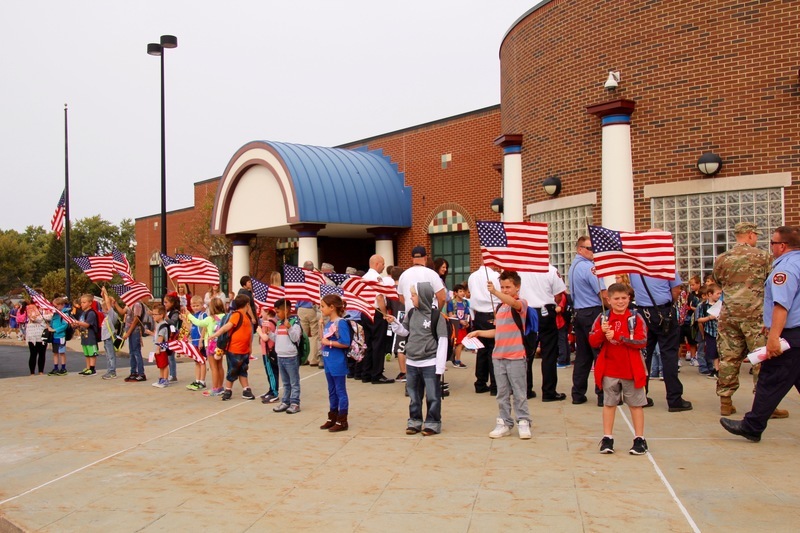 Then, just moments later, each class made its way outside, led by a classmate carrying a flag. 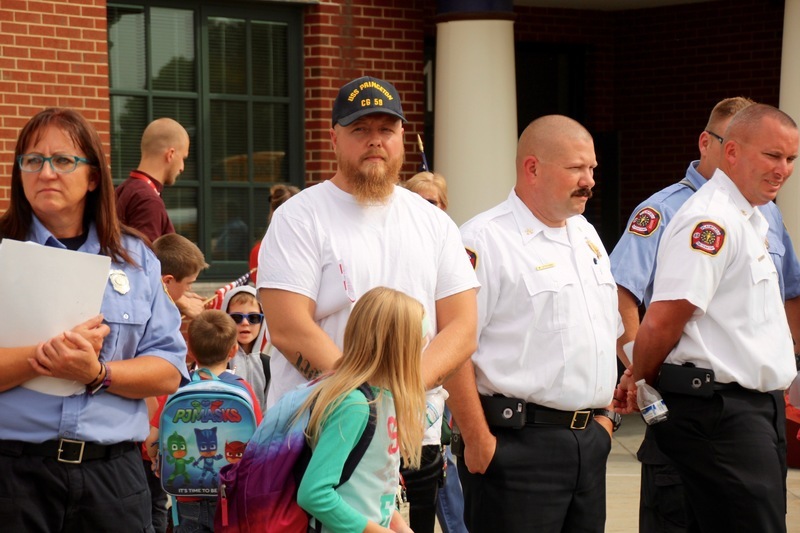 In silence. 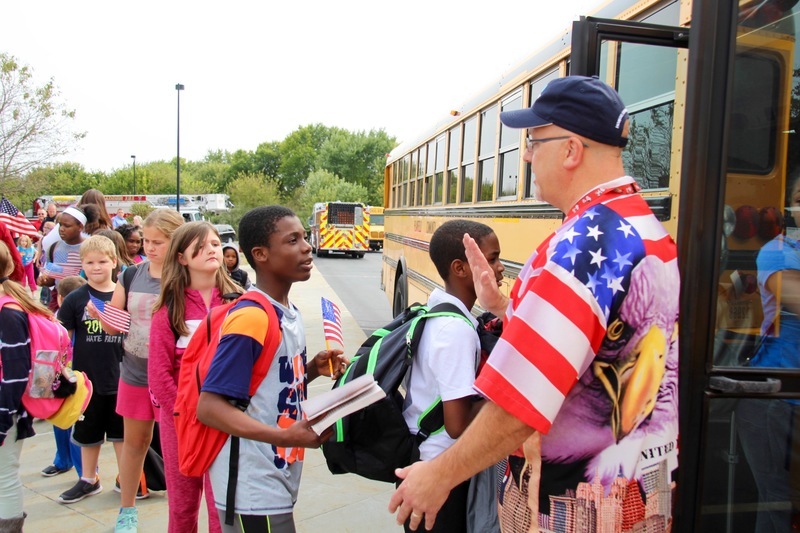 As students boarded the buses to head home, even their first moments on the bus were quiet. 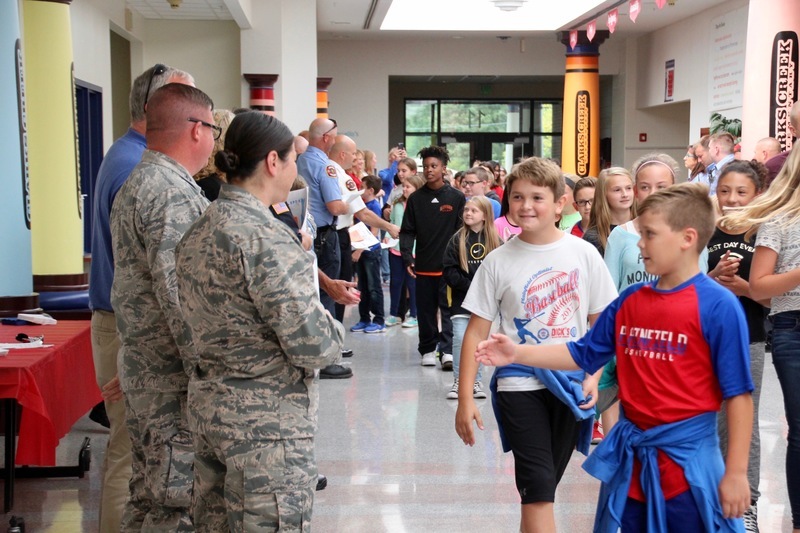 For the students, it's a powerful history lesson of a time before they were born. 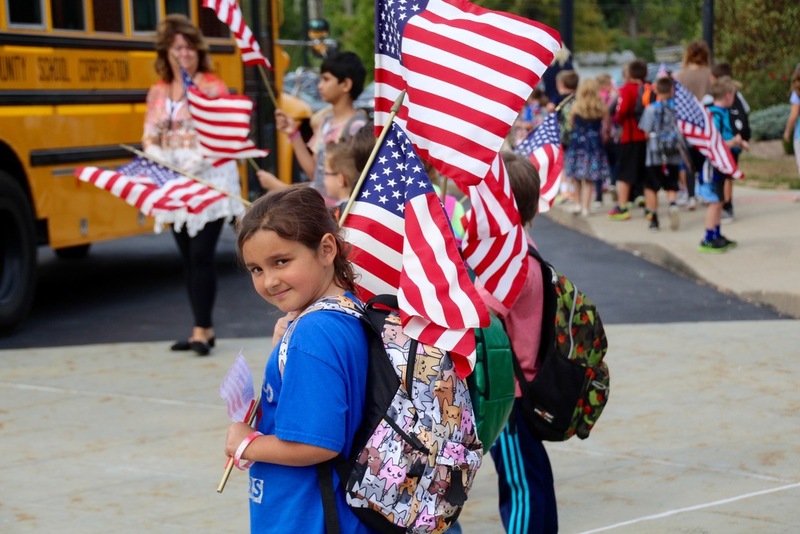 For the teachers and staff, it's an important way to honor the losses of that day. 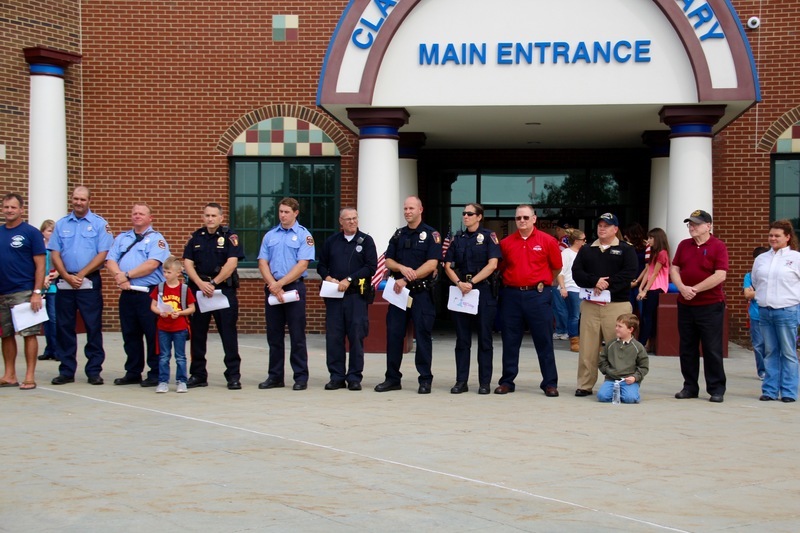 For our veterans and first responders, it's a tangible sign that we haven't forgotten the sacrifices made on September 11, 2001.